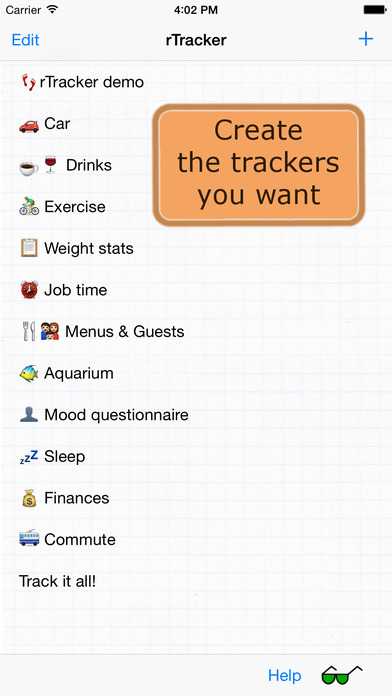 A generic, customizable personal data tracker for iOS. rTracker is a complete iOS application for creating local on-device databases ('trackers') to log data with timestamps. 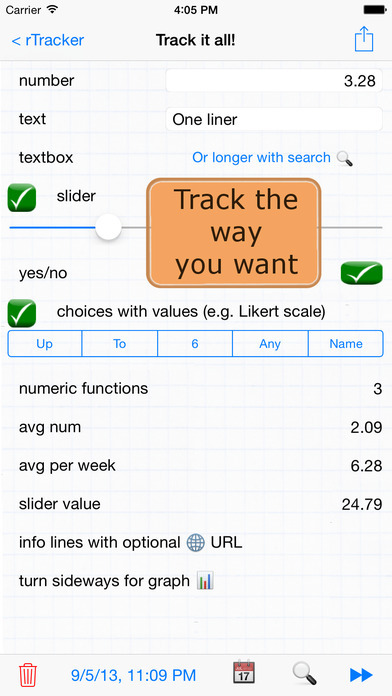 Trackers can use a variety of iOS controls (number/text fields, sliders, radiobuttons, checkbuttons), and can implement limited functions on values within entries and over time. These controls comprise the data input form, and are presented when the device is in portrait orientation; rotating the device to landscape mode will present a graph of the collected data over time. Tracker data can be exported in CSV format, and trackers (with or without data) can be shared with other rTracker users. 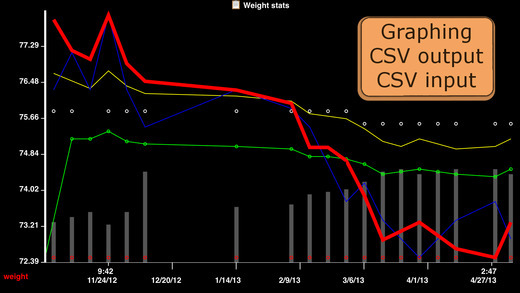 CSV data can also be imported, and trackers can be created with (specially formatted) CSV files. Trackers can have iOS local notifications which trigger on specific time and data criteria, implementing a 'reminder to track' facility. rTracker supports URL schemes to either open the application main window (rTracker://) or a specific tracker (rTracker://tid=4). A rudimentary privacy facility is available, such that trackers and/or their values can be hidden until a 'graphical password' is entered.